Yes, we do provide complementary pick up from most major Las Vegas Strip hotel. If you are are staying in a hotel off the main strip there is a $100 transportation fee if you would like to be picked up from your hotel. We do not provide pick up from Air B&B locations. Complementary pick up is available from our corporate office. No, please be sure to eat prior to your scheduled pick up time. There are no food or drinks allowed on the tour shuttle. Lunch is included with all packages and will be served after the conclusion of your activity. Do we go fast on the ATV? No, this is a scenic guided tour and you will go at the speed of the tour guide. If you are looking to go fact then go to our Off Road Racing page. Can I bring the ATV out on my own? No, our ATV Tours are scenic guided tours and you must follow the tour guide the entire time. Yes, Photo Identification and the Credit Card used to make the reservation is required for verification purposes. What if I am a convicted felon? What is your Alcohol & Drug Policy? Can 2 people ride on am ATV? No, only 1 person is allowed per ATV. You can upgrade to a Dune Buggy or a Razor that can accommodate 2 people. The minimum age to shoot is 12 years old and 5 feet tall. All children under the age of 12 can participate as a non-shooter. The minimum age to drive the ATV, Dune Buggy, or Razor is 16 years old. All children under the age of 16 must ride as a passenger with the tour guide on the 6 seater UTV. Can I upgrade to a shooting package on the day? 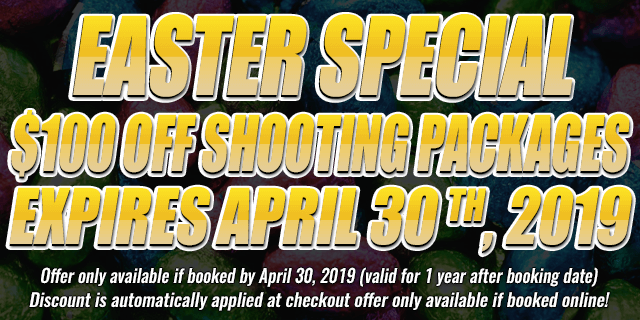 Yes, you can upgrade to a shooting package on the day of your adventure. We recommend upgrading before your arrival. Yes, we require close-toed shoes. Please dress comfortably for the occasion. Wear a swim suit if you would like to go swimming in the river. Please consult with your doctor if you have any disabilities or limitations due to health concerns. Do I need experience riding? No, we are happy to accommodate both first time and experienced riders. Am I allowed to split a package with another person? Packages cannot be split with someone else. Yes, all packages are priced per person. Can’t find answers to your question? Disclaimer: Las Vegas ATV’s only operates transportation services, facilitates payment and reservations. The Arizona Last Stop is the location where lunch is served and the location of the monster truck and gun range which are owned and operated separately. Any combination package that includes a helicopter or atv are also owned and operated independently at offsite locations not associated with Bullets and Burgers.